Today's line just makes me want to have a fancy Christmas party. Maybe I'll throw a Christmas in July party?! I am LOVING those reindeer!! Anyone else? What are your faves about Silver & Gold? Leave us a comment for a chance to WIN! Winners will be announced next TUESDAY! So many fabulous patterned papers! The deer are fantastic for sure! The Jewels and Buttons make my heart skip a beat! Thanks so much for the chance to win! I love everything! Great collection! What I love most is that it's a great combination of playful and elegant! 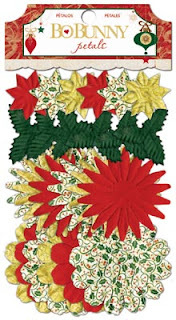 Perfect for any kind of Christmas page! Love all the gold in this collection! Awesome Christmas collection. Love the gold and silver. My faves are the mini book (you always make such cute ones!) 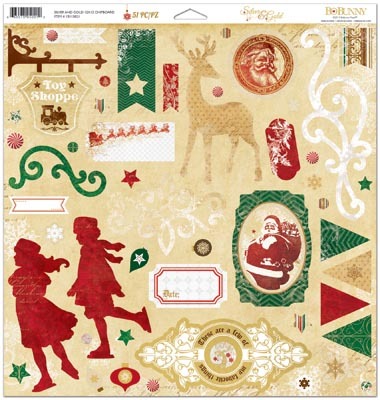 & the reindeer paper! This is a beautiful collection. I loving the rich, beautiful colors and the slightly distressed, yet classy look. This is going to be perfect for a certain Christmas project I have in mind! Ooh.....Ahhhh...no surprise, it's another gorgeous BB collection! My favorite bits of any of them are always the brads and jewels, these are the best anywhere. Beautiful collection! 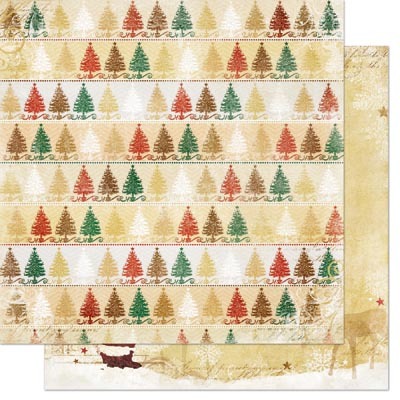 I love the paper with the different colored trees. Oooh, so very pretty! I just love the colors in this! You can bet I will be getting this one! Christmas in july...love it. I love this line of gold~! I love the reindeers too! 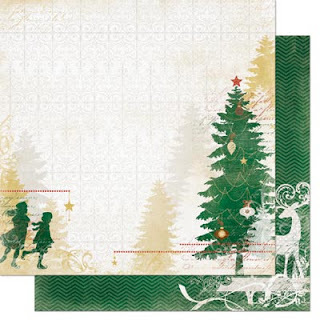 The sheet with the green trees with ornaments is lovely also. Every year I just have to have the new BoBunny Christmas collection. This year is no exception. Just love it! So gorgeous! 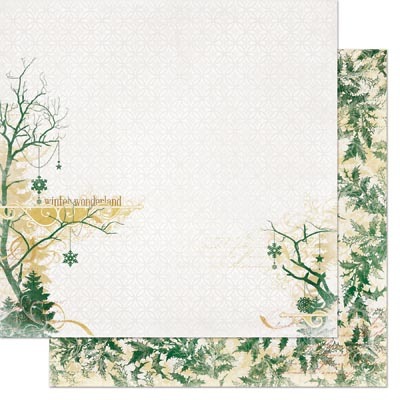 The deer and trees are so pretty and I love the snowy old time feel of the papers. What a pretty new Christmas collection! Love it! Silver and Gold is gorgeous! I particularly like the deer motif and I must have that mini album. Wow, what a beautiful collection ! Would love to make xmas cards with it ! Oh I love a beautiful classic Christmas line and Bo Bunny always delivers!!! Loving the mini and of course the beautiful trinkets and deer! This is beautiful too!! 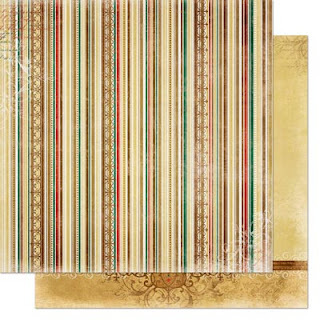 You always create such beautiful papers to create with and this is exceptionally beautiful with the gold in it!! Can't wait to get and I would love, love, love to win! Anyone that reads my blog knows that Bo Bunny is my favorite Scrapbooking Company. You always have the trendest lines. But..this time you've amazed even me with how you combined trendy, elegant, and drop dead gorgeous all in one line. Silver and Gold is going to be the collection for my Christmas cards this year for sure! So cozy and sweet collection! I want to make an album with it! Amazing embellishements! This collection is so gorgeous - I especially love the Gold Santa paper! WOW!! I was like... "I like this one...and this one...and THIS one..." until the end of the post! Love the whole collection. Thinking sepia-tones photos would work great to these papers! Love it all! I think my favorite is the trees with hanging snowflakes. I love the colors realy christmas. FABulous! I hate to be thinking Christmas already, but I may just know what I'm going to do with this collection! Should start making notes so that I don't forget when that time comes, lol! YES!!! Bo Bunny, you did it again. A Christmas collection I LOVE. I guess I will go with the red and gold theme this year. Just adore it when a Christmas collection is elegant - it fits more our style of celebration. The mini album is a perfect one for my mother. She cannot celebrate with us this year but I will add all our photos and give it to her when she comes and visits us in February. I see my annual Christmas album being made out of this line. And all the embellishments and stickers will help add dimension. This will make a fabulous album. This is stunning!!!!! I love everything about it!!! Very classy -love it! Definitely a must have. Wow, wow, wow! What can I say? This collection has totally got me smitten! What a beautiful Christmas collection! Perfect! I love the new collections. Silver and Gold is putting visions of Christmas cards in my head. I feel like I stepped onto the set of "Miracle on 34th Street". This is the Santa of my youth. Love the trinkets and brads! ohhh what a stunning line! I LOVE it! I love Christmas!! and love the GORGEOUS collection...Love it! OMG... gorgeous! I know exactly what I would do with all that lovely!! oh, sooo beautiful!! I love those Christmas buttons. I guess the question is.....what's NOT to love in this gorgeous collection? It is absolutely beautiful. Even down to the packaging. The papers are just super fantastic, so elegant and festive! I always have to go with the Trinkets too - I am a big time Bo Bunny Trinkets collector from all of your lines, so lucky my LSS carries Bo Bunny! I can't wait to see Silver and Golk in person! Oh my goodness!!! In keeping with Father Time and Rejoice...I think you have the MOST beautiful Christmas collections and I LOVE LOVE LOVE this!!!!! Thank you for your wonderful designs! Absolutely gorgeous paper! Love the colors, love the reindeer. Love the mini book. This is on my to buy list. Beautiful collection! 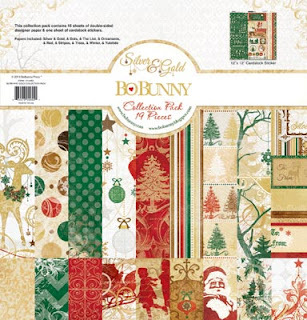 I always love Bo Bunny Christmas collections! Oh this has to be one of the prettiest Christmas lines yet! Definitely feel like scrapping Christmas right now! This line made me say "ooh ahhh" every time I scrolled down. It reminds me of my Christmases as a child! I love everything about it! I must add this one to my ever growing pile of Bo Bunny collections! Absolutely love those Brads and papers. A wonderful collection. can't wait to get started on Christmas LOs. Love the collection. 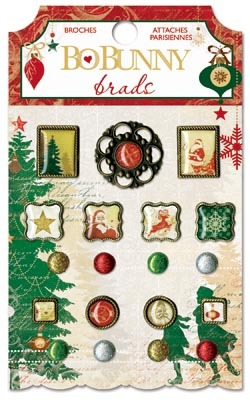 The papers and embellishments are great. This line is so elegant and beautiful!! LOVING the trees and the deer!! Such a beautiful and classic collection. oh wow, so elegant and tradition all wrapped up together, love it!! Ohhhh what an awesome collection! I love all the shiny goodness! Even when it's over 100 outside, it feels so festive with this paper! Such a beautiful and classic Christmas line! !I love it all!! Wow! !such a beautiful collection! You always have such beautiful Christmas collections! Pretty collection! 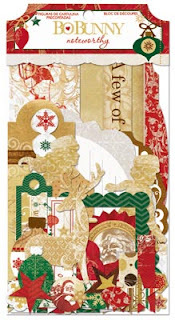 I love that you mixed gold with the traditional red and green, it looks awesome. Absolutely beautiful!!! I'm always amazed by the creativity of Bo Bunny! I love how versatile this collection is - so elegant and fun! Thank You! Just beautiful. This collection is so gorgeous!! !Thanks so much for the chance to win! Oh wow I love everything about this line. I love Christmas, and this line is absolutely gorgeous. The colors are vibrant and rich, just love it all. Love the green and red mixed in with the silver and gold! The colors are absolutely gorgeous!!! The Silver and Gold rock. I also love all the beautiful ornaments and the traditional colors. These would make a stunning Christmas album. This is so beautiful. I fell in love with this one. My favorite is tre tree on both sides in green and gold. That is awesome. This is a Must have collection, that`s for sure. I love the brads and trinkets to dress up my cards and layouts! Beautiful line! Wow! This is so elegant-but parts of it are simple and homey at the same time.Fabulous! Wow! Classic Christmas at it's best! I love this. This has to be the best Christmas I have seen yet from any company out there! Once again, Bo Bunny...you rock!!! 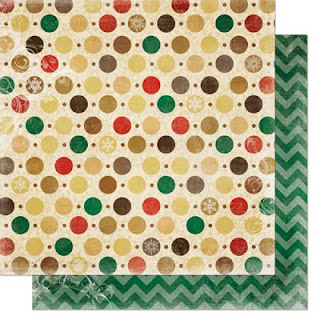 Liking some patterned papers I am seeing here in this collection! thanks for the chance to win! I love the classic feel and colors of this collection. Very classy designs! LOVE all the gold in these designs and yes, those reindeer are fabulous! So pretty! I love this collection, the papers are so pretty and I love the brads. Thank you for the chance to win. 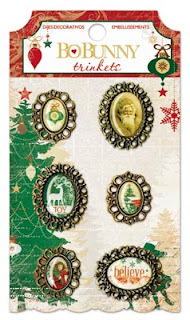 I am loving the deer and the winter scenes (being from Montana), but I also love the vintage Christmas look of these. It bring me back to the Christmas when I was a little girl. 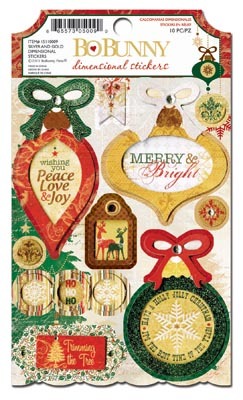 Love all those gorgeous papers - especially the ornaments and the trees. All the embellishments are wonderful too - especially those glorious glossy brads. I'm a sucker for Christmas paper. This line is so elegant! This is what I would call the PERFECT Christmas collection. The colors, the embellishments, the patterns and the reindeer. A must have. 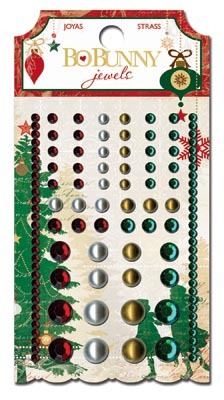 Love the silver and gold added to traditional Christmas colors. LOVE the colors!!! 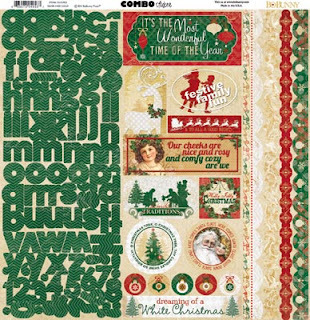 Christmas layouts abound each year and this fun paper will make creating so much fun! Oh my! I simply love the whole collection and just the thing to scrapbook my photo's of Christmas magic down Main Street with Mickey at Disneyland Paris. Love this x the reindeer and santa trinket are gorgeous! What a gorgeous collection! I love scrapping Christmas pictures! Such a beautiful traditional line. Bo Bunny continues to create my favorite papers. Thank-you!! Who would have thought silver and gold together would make such a gorgeous collection of papers and accessories. Can't wait to get my little grubby hands on this line! It's beautiful! The perfect blend of vintage-y and bright! I love the papers and the mini album and really love the trinkets! Beautiful collection. I love the silver and gold. GORGEOUS!!!!!!!!!!!!! I too love those reindeer!!! I just love the unique reds and greens in this collection. Its so pretty with the silver and gold! I love the old fashioned look, yet it still has a new aura to it. Gorgeous!!!! Very pretty! I love the shades of gold! Great designs! I love the neutral effect of the gold color especially on those B side of the paper. Makes me think of other uses for this paper line other than Christmas. Fab collection! Love the colors and classic yet updated feel to it! 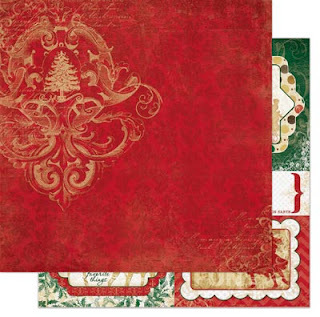 Another great Christmas collection - love the elegance of the traditional colours!! I am loving those reindeers too ! 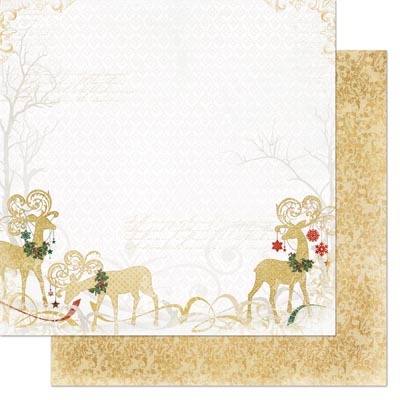 Elegant and beautiful paper collection with the fun reindeer. You've done it again! What a beautiful line. I can't wait to get it. What a gorgeous collection. Love those colors and can't wait to use it. Thanks for the chance to win some. Love the vintage feel with the gold accents! perfect collection for my family where my kids are older. Absolutely gorgeous. Love the gold with the reds and greens. Beautiful embellishments. 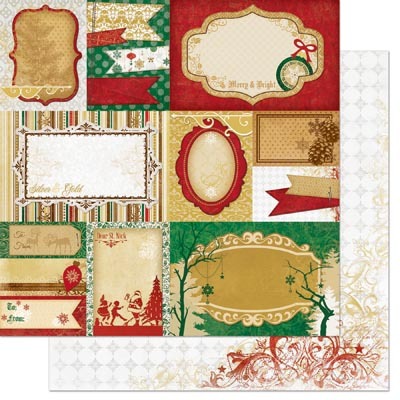 I love the silver and gold mixed with the traditional greens and reds of Christmas! I love the designs and colors in this collection! Beautiful! It's so beautiful and elegant. 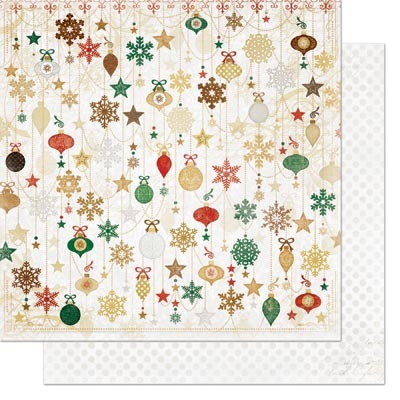 I am not just a patterned paper-aholic - I'm a Christmas patterned paper-aholic! This collection is so elegant and lovely! I can see album and home decor projects using it. Thanks! This is gorgeous. I love the traditional colours! Beautiful line! Thank you so much for the chance to win! Very festive. I <3 the reindeer! It is very elegant, it's a great collection. You guys out do yourselves with each new collection. Gorgeous all around. Oh boy....you never disappoint....this is just stunning! GORGEOUS!!!! I need this collection. An absolutely lovely line! Fabulous designs! My favorite part is the gold reindeer with the wreaths around their necks. There is something about a reindeer that evokes Christmas to me- always! Lovely collection! I can't wait to play with it. The reindeer are just so beautiful! Not usually a gold person but this is beautiful! I'm in love. Simple but elegant, I'll definitely add these to my shopping list. I love the classic design ... the gold and silver colors are impressive to say the least. Tradition at it's finest! I'm drooling already and well...unless it's stickles or the like not good around paper products! I am already making up my wish list for Christmas! This goes with pics of last Christmas perfectly! Beautiful! I love that the red is subdued, not a garish Christmas red, but not maroon either. Well done! Oh my I think I'm in heaven! I love Christmas and I love scrapping it! I have 8 full albums of just Christmas :) beautiful, awesome collection! omigosh...How do I love these, let me count the ways....Wait..there are too many ways to count. Silver & Gold is the best Christmas collection I've seen in a very long time! the BEST is that it is in a 6x6 pad for card people, and then the embellies are to die for ! I absolutely love Bo Bunny paper. 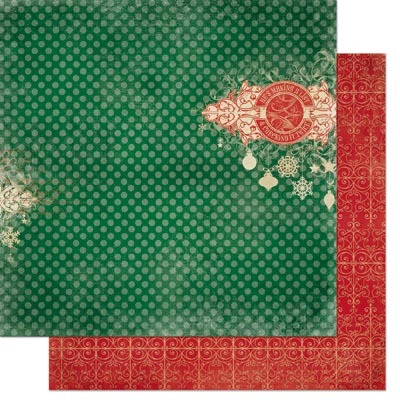 Your Christmas patterns are always so elegant, yet playful. I love the glitz in your new collection. The silver and gold add a touch of elegance to the green and red. So beautiful! Absolutely beautiful. I love reindeer and these are fantastic. I really like the old world feel to the collection and those Trinkets are fabulous. What an incredibly beautiful collection! I'm intrigued with the trinkets. I've never used them-- but they are so cuuute! Bo Bunny NEVER lets me down! Very elegant line I like the colors! Love the Silver and Gold line! Definitely the reindeer! What a beautiful line!!! the classic colors...i love the gold, green and red. Great job on the collection. Love the classic Christmas colors! I absolutely love everything Christmas! This collection is just gorgeous! Fingers crossed that i might win! Thanks so much for the chance! My favorite parts are the dotted, and striped, papers. I love Christmas scrapbooking. I think the Village Sign paper is beautiful and I have not seen that done before. The colors are prefect for the season. Way to go Bo Bunny! Must have it all! Love the papers for scrapbooking but also thinking Of the beautiful Christmas cards they would make. Where to begin, I love it all! 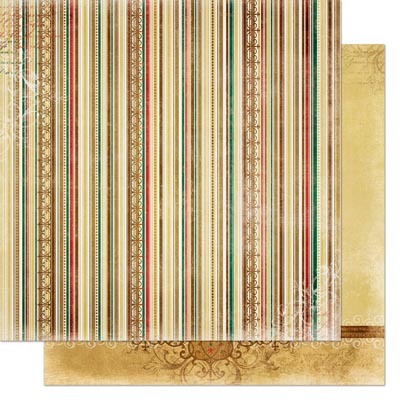 If I had to pick I would say the double sided pattern papers, they are beautiful and you can get so many designs out of them. Love this collection! I love the papers. I want too use them for the decorated Christmas tree village we go to see every year. They will be perfect! I love the colors of this collection !! Gorgeous! Bo Bunny never fails to please! I love the vintage feel to this BEAUTIFUL collection!! The Photos, The Memories, Forever they last! 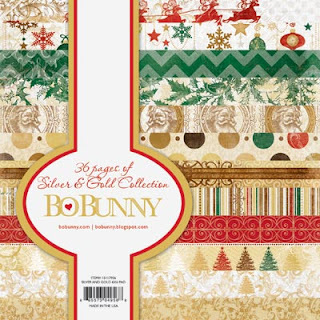 Christmas Pages Always Loved Best Are Surely BO BUNNY! I know will make my Photos Treasures To Behold!!! Please Choose Me I cannot Wait, For when they'll Be Ready In Stores!!! Why I know You'll Help Make My Pages Divine!!! And Oh I just love The Way the Layered Chipboard Santa's Eyes How they Flicker!!!!! Throw in 12 x 12 Chipboards & A Mini and We are Almost Done!!!! BO BUNNY Has made it necessary for many a caper!!! So so so so so very beautiful! What an elegant collection! The trinkets are my favorite embellishment! Thank you for the chance to win! This is a very elegant collection. I love all the colors...The trinkets are great. I love all of it. It would be hard to pick out one thing that I like the best. If I had to I would pick the papers. Thank you so much for the chance to win..Have a great day. Wow, Love at first sight! Very elegant. This is just awesome!! I would like to have a Christmas party in July also!!! Hoot!!!! Stunning! Absolutely stunning! I'd be so happy to win this collection! Thanks for the chance! Gorgeous Christmas collection, love silver and gold! Loving this beautiful Christmas collection! 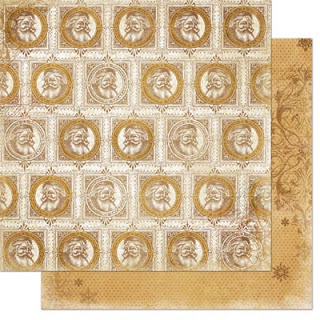 I think the gold adds lots of richness and elegance and these papers would make stunning Christmas cards or scrapbooks. Thanks for a chance to win! 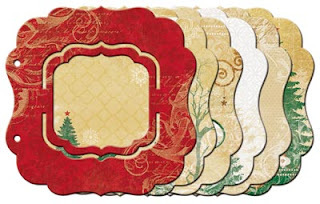 my favorite part of this collection is that is keeping the classical colors of Christmas. Plus that mini is adorable. I love the colors and the vintage yet elegant look! Wonderful accessories to go with the papers. Wow - can NEVER have enough Christmas goodies - love the brads and trinkets! I LOVE this collection!! Good Christmas collections are hard to find but this one is the BEST!! !I'm so excited to get these! Great collection! Love the paper and all the bellies that go with it. 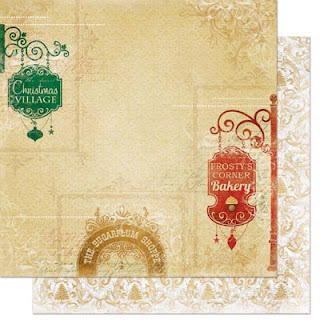 Absolutely love the reindeer pages and the paper with the vintage signs .....Bakery, Shoppe & Village.......I can't wait to start making pages and Christmas Cards with these papers! What a neat mini album! I, too, like the paper with the vintage signs. Loving this line! It is so very elegant. I think that I would totally love to win it! I love it all!! Especially the embellishments! Very beautiful! Elegant, classy, vintage..love!! What a beautiful, elegant design! I love the "nature" feel of a lot of the papers! Simply Gorgeous!! 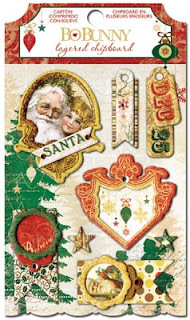 I love the reindeer paper and the vintage signs. Oh, I thought I wasn't ready for Christmas yet, but I am now!! Thank you for the giveaway! This is so beautiful! I love the touches of gold and the vintage look! Those silhouettes are awesome! I can not wait for this collection. I do Christmas albums every year since 1991. This silver and gold themed paper will be perfect for Christmas 2013! This collection is gorgeous! LOVE the reindeer and the ornament designs! Beautiful. Thats all I can say.